Connected vehicles, autonomous driving, IoT, predictive analytics — it’s clear that the transportation industry is experiencing a once-in-a-generation transformation and will continue to be one of the hottest spaces in technology for well into the future. As the pioneer in bringing video analytics to transportation, SmartDrive’s unmatched expertise in understanding driving performance, insights related to risk, and the necessary data to inform solutions across freight, transit and personal vehicles puts the company at the very heart of this transformation. Why SmartDrive? This isn’t just any technology; this is technology with meaning. Each year, SmartDrive delivers protection for fleets of every size, saving drivers’ jobs, lowering costs, unlocking new areas of efficiency, and most importantly, saving lives. 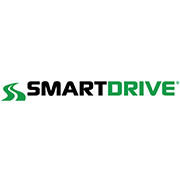 Founded ten years ago and named to Deloitte’s Technology Fast 500 for three years in a row, SmartDrive offers the unique combination of proven technology with the excitement of a start-up. And, as a provider of hardware and SaaS-based software, positions at SmartDrive provide the opportunity to explore multiple disciplines. We work hard and enjoy what we do! Our open concept, dog-friendly office offers a gym and weekly yoga sessions and plenty of opportunities for fun. Best of all, year round San Diego sun and 75-degree weather. Want News & Updates on the SD Tech Scene?